My family and I took the train south to Nice, where my French adventure began. We settled into Nice with an aperitif on the beach and a stroll through the narrow, but colorful, streets of the old town. 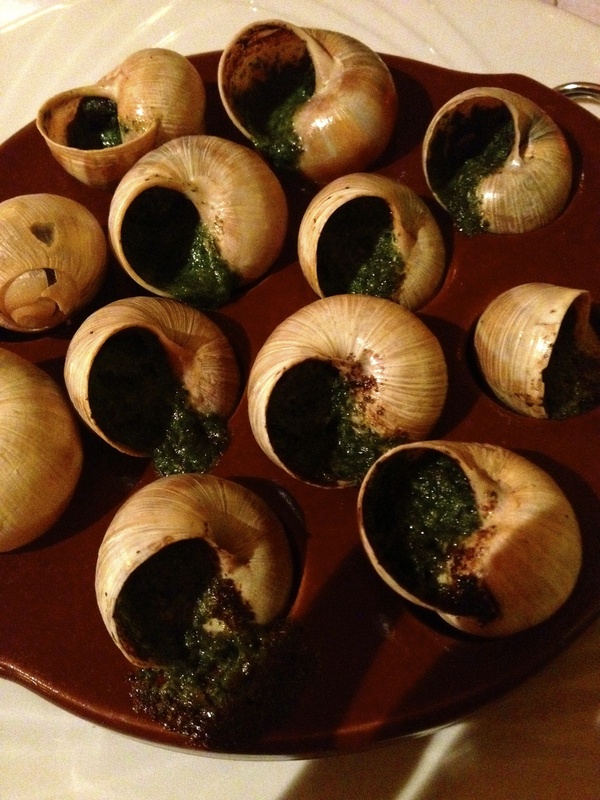 Seeing as Jena was leaving the next morning, I insisted she try a French specialty – escargot. As you can see, it wasn’t her favorite…but it was fun to watch her try them! I enjoy them quite a lot, and with the amount of butter and garlic on them you can’t go wrong. We spent a morning exploring Monaco – from le Rocher to Monte-Carlo, Monaco always makes an impression. Nice is an active city – from the beach to the hiking trails, there is always somewhere to go. We hiked up to Parc du Chateau (Castle Hill) where there are incredible panoramic views of Nice, especially the old town and the port. Later I brought them to the Marché aux Fleurs (Flower/Farmer’s Market) - one of my favorite places to go in Nice. You can smell the flowers from blocks away and the vendors are always friendly. You also can’t go wrong with your seafood when it’s caught less than an hour before you buy it. The South of France is filled with medieval villages. While they’ve become touristy, their narrow streets, magnificent views, and castles bring you back in time. Eze is a medieval village near Nice; we spent a relaxing morning winding our way through the village and visiting the exotic garden at the top. There are a handful of sculptures designed by Jean-Philippe Richard placed throughout the garden, each of them was given a first name and is accompanied by a quote giving them a personality of their own. Margot: "Suivez-moi, jeune homme Et vous connaîtrez tous mes secrets… ou presque." II "Follow me young man And you shall know all my secrets… almost." Mélisande: "Qui m'a rêvée? Qui m'a créée? À qui ai-je dit oui?" II "Who has dreamt me? Who has created me? To whom have I said yes?" Although we didn’t spend a long time in Nice, it was a fun to show my family a glimpse of my life on the French Riviera!